The Dallas Business Club invites you to the May Professional Networking Event hosted by Kellogg and Fuqua on Tuesday, May 23rd 6:00-8:30pm. 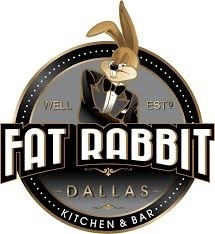 Please join Dallas Business Club (DBC) to networking with your peers on Tuesday, May 23rd from 6:00PM – 8:30PM at the Fat Rabbit Kitchen & Bar on McKinney Ave. Your hosts from Fuqua and Kellogg have reserved a private patio and bar for DBC. Light appetizers will be provided and there will be a cash bar. Happy Hour specials for beer, house wine, and specialty cocktails has been extended until 8:30pm for our group. See you at the event! Inner Circle Members (formerly known as Platinum Members) will be eligible for door prizes. There will be a drawing during the event for 2 tickets to the 12th Annual Kellogg Summer Soiree for Big Brothers Big Sisters on Aug 12th and other gifts. Be sure to join or renew your Dallas Business Club membership before the event to be eligible. If you want a printed name tag, please RSVP by Monday, May 22nd at 5PM. ... a total of 100 guests.